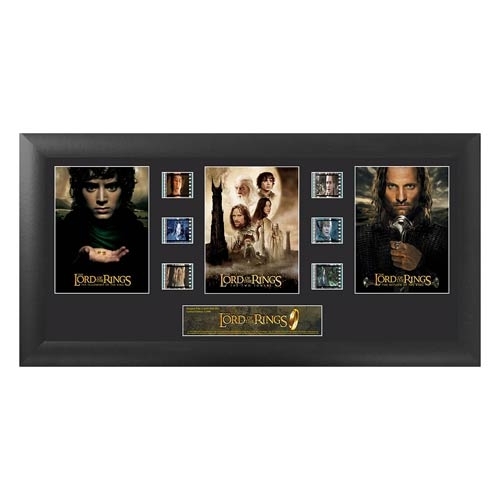 The Lord of the Rings Series 1 Trilogy Film Cell is a limited edition of 2,500 pieces that contains 6 clips of real film, a striking image from each of the three The Lord of the Rings films, and a numbered limited edition name plaque. 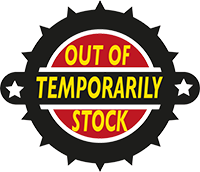 These elements are double matted and placed within a beautiful black wood frame that measures 20-inches wide x 11-inches tall and comes with a Trend Setters embossed/foiled certificate of authenticity. Made in the USA. Each FilmCell presentation is made with careful attention to detail. It is double matted, placed in a quality frame, and contains a clear front and back allowing natural light to enhance the film frames. Each piece of film is hand cut from reels to provide you with the best possible scenes to offer a unique and varied product. 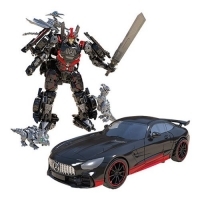 This is all put together to bring you a collectible that looks great in any room! Achtung! Ladenprodukt; Verfügbarkeit und Versand auf Anfrage. Kundenbewertungen für "The Lord of the Rings Series 1 Trilogy Film Cell"